0.1. Fundamental Responsibilities of the Organization: The organization is responsible for designing, managing, and developing the event. In this way, it is responsible for prior explorations, evaluating the associated risks of the race course and the place’s geographical conditions. It is responsible for defining, in detail, the race route, and furthermore, implementing the aid stations and control points. It is responsible for marking the routes and managing the authorization of passage. It is responsible for managing communications, the control of passage, the rescues, and the evacuations. It is responsible for defining the mandatory and recommended equipment for the specific race conditions. It is responsible for establishing the General Rules and Regulations, and modifying them accordingly. It is responsible for developing the Runner’s Guide, maps, profiles, and other documents that allow the participant to understand both the magnitude and essential characteristics of ULTRA FIORD®. Thereby, the organization is responsible for making all of the event’s fundamental information available for the runners. Also, it is responsible for monitoring and ensuring all established regulations have been fulfilled, especially those that relate to the safety of all people involved. I have read, understood, and accept Article 0.1. 0.2. Runner Responsibilities Inherent to Himself/Herself (Inherent: What is essential and permanent in a being or a thing, or that cannot be separated from the person to form a part of his/her nature and not depend on something external): The runner is free and responsible to chose the event and his/her respective race distance. The runner is responsible for informing himself/herself of the event’s requirements and characteristics, so is therefore responsible for reviewing and understanding all of the essential documents, which include, but is not limited to the following: Rules and Regulations, maps, profiles, Runner’s Guide, and any other relevant information/documents/guides that describe the event. In this way, in order to be better informed, it is his/her responsibility to review the books, videos, photographs, and other graphical material from previous editions. The runner is responsible for understanding the true magnitude of the challenge that he/she is taking on both freely and with consent. The runner is responsible for accepting the race format, the event’s geographical conditions, and the isolation of some race areas.The runner is responsible for both understanding and accepting all the articles included in the Rules and Regulations, without exception. It is his/her responsibility for his/her training and medical examination prior to the event. It is his/her responsibility for choosing his/her personal equipment, complying with the mandatory equipment and decide on whether or not to use the recommended equipment, and even choosing to use additional equipment if he/she deems it necessary for his/her specific needs and safety. In this way, it is the runner’s responsibility to decide in which moments to utilize the equipment and clothing during the race. The runner is responsible for registering his/her passage in the control points, for evaluating his/her personal physical condition during the race, and to withdraw from the race when necessary. Above all, the runner is primarily responsible for his/her own safety during the race. I have read, understood, and accept Article 0.2. 0.3. Solitary Obligations for the Runner with respect to other Runners: These are based on the values of essential solidarity defined by ITRA (“[The environment] can become hostile, and consequently they need to help each other to progress better together or simply to survive. In the name of the principle of solidarity, each player in the field of trail-running is asked to prioritise going to the aid of anybody in danger or difficulty wherever they are and in whatever circumstance.”). Given the fundamental race format, which implies conditions of isolation and sections of up to more than 10 kilometres without assistance or aid stations, each runner jointly assumes the responsibility to assist others runners that need some type of assistance. In this way, assisting another runner that is found to be having problems will not be a favor to the other runner nor the organization, as it is a fundamental and inherent obligation to this sport and is inescapable for each one of its participants. Therefore, the runner is always responsible for being alert with respect to emergencies that may arise in or to other runners. In the case of finding another runner in need of help or assistance, it is the runner’s responsibility to advise the closest Aid Station or Control Point, whether it be located forward or backward of the race direction. In necessary cases, the runner should remain with the runner in need of assistance, while asking others to advise members of the organization about the situation. Similarly, if necessary, the runner must accompany the runner in need of assistance to a safe zone or where members of the organization can be found or are located. . I have read, understood, and accept Article 0.3. 1.1. The official name of the event is ULTRA FIORD®, hereafter, also referred to as the “Race” or the “Event.” Its development, as well as the rights and obligations of both the organization and the runners shall be governed by the present Rules & Regulations and its modifications. ULTRA FIORD® has been created and developed by NIGSA, hereafter also referred to as the “organization” or the “organizers.” ULTRA FIORD®‘s participants will be referred to as the “runners” or the “participants.” The event’s third edition will take place between April 1-6, 2019. I have read, understood, and accept Article 1.1. I have read, understood, and accept Article 1.2. 1.3. According to the ITRA (International Trail Running Association): Trail-running is a pedestrian race open to all, in a natural environment (mountain, desert, forest, plain…) with minimal possible paved or asphalt road (which should not exceed 20% of the total course). The terrain can vary (dirt road, forest trail, single track…) and the route must be properly marked (1). The race is ideally – but not necessarily – in self-sufficiency or semi self-sufficiency (2) and is held in the respect for sporting ethics, loyalty, solidarity and the environment. (1) “Properly marked” means that the runners will receive enough information to complete the race without getting lost. That includes physical markings (flags, tapes, signs…) or GR permanent markings or GPS tracks or map indication. (2) “Self-sufficiency or semi self-sufficiency” means that the runner has to be autonomous between aid stations, regarding clothing, communications, food and drink. I have read, understood, and accept Article 1.3. 1.4. ULTRA FIORD® will take place in Patagonia’s extreme south, in the Ultima Esperanza Providence (Last Hope), Magellan and Chilean Antarctic Region. The closest city is Puerto Natales (Latitude 51º44’S). This terrain, dominated by a labyrinth of fjords to the West, presents a restless, and sometimes even hostile, climate, which, at times, can have temperatures that drop below 0ºC and winds that surpass 100km/h. I have read, understood, and accept Article 1.4. 1.5. ULTRA FIORD®‘s official language is Spanish, as the event’s host country is Chile; however, being that it is an event including a large percentage of runners from different countries, English has been established as a second language. Therefore, all of the generated documents required for the participants will be available in both Spanish and English. I have read, understood, and accept Article 1.5. 1.6. ULTRA FIORD®‘s format will be a non-stop run carried out in semi-autonomy. This implies that each Runner must be autonomous between Aid Stations. Each Runner must be responsible for his or her own food, hydration, clothing, and safety equipment. The Runner must be prepared and equipped to meet the Race’s demands and challenges, as well as adverse weather conditions, physical problems, injuries, and other problems that may arise during the event. I have read, understood, and accept Article 1.6. I have read, understood, and accept Article 1.7. 1.8. During the course of the entire Race, outside assistance is strictly prohibited, with the exception of certain official Control Points. In those points, Runners may receive support from his/her team, family, or fiends. Some of these points are accessible by land, while others are only available by sea. It will be the support party’s responsibility to use external services in order to move assisting team members to those place. I have read, understood, and accept Article 1.8. 1.9. Through the act of registering, the participants accept the use and diffusion of any and all images, videos and/or photographs, and quotes and/or testimonies that can be obtained by participation in the event, whether the end use be for publications, commercials, or others. Thus, the runner is allowing the broadest rights for use and diffusion to the organization, and therefore, renouncing any and all legal action against the organization or those associated. I have read, understood, and accept Article 1.9. 1.10. The organizers reserve the right to change the date, modify the route, eliminate aid stations, or even cancel the event in cases of force majeure; which includes, but is not limited to the following: fire, war or acts of terrorism, exceptional climatic conditions, problems with the rights of passage through the route, natural disasters, or for security reasons or justified orders from a competent authority. In those cases, no refund will be given to the Participant. I have read, understood, and accept Article 1.10. 1.11. The organization reserves the right to modify at any moment these current rules. Notwithstanding the previously noted Rules and Regulations, the official Rules and Regulations will correspond to the most updated version prior to the start of the race. The Rules and Regulations will always state the date of the latest update in the first page, below the document’s title. It is the runner’s responsibility to be attentive to the changes, and know, in detail, ULTRA FIORD® 2019‘s Rules and Regulations. I have read, understood, and accept Article 1.11. 2.1. Since its origin, ULTRA FIORD® is created upon the the concept of life experience in a natural environment. The event will take place with the greatest respect to the environment. Every runner must have special consideration for the surrounding environment and must manage their waste responsibly. I have read, understood, and accept Article 2.1. 2.2. It is prohibited to leave clothing, bottles, food or drink wrappers, or any other type of waste or equipment along the route. Runners will be able to deposit any type of waste or trash in all aid stations (PAS). I have read, understood, and accept Article 2.2. 2.3. The vegetation and wildlife must be respected at all times. Any action that causes harm or destruction to the vegetation and wildlife is strictly prohibited and will be penalized. I have read, understood, and accept Article 2.3. 2.4. The Race takes place far away from urban centers and places, so runners will only have access to bathrooms and facilities in the starting point at Hotel Río Serrano and in the following Aid Stations: Hotel del Paine, Hostería Balmaceda, Estancia Perales, Estancia Dos Lagunas, and at the Finish Line in Puerto Natales. Therefore, if necessary, runners must be at least 60 meters away from any water source and utilize the technique “cathole.” Runners must try to avoid roads and animal tracks as well. I have read, understood, and accept Article 2.4. 2.5. In order to reduce waste and garbage, the Event will not include plastic cups. Runners should carry their own hydration system and/or bottles. I have read, understood, and accept Article 2.5. 3.1. The maximum authority for ULTRA FIORD® is the Event’s Race Director. He shall make all the final decisions concerning any difficulties or disputes that arise within the scope of the event. I have read, understood, and accept Article 3.1. Two people chosen based on thier experience with similar cases to the one being evaluated. The jury must reach a decision within a reasonable time limit, meaning within the requirements demanded for proper completion of the race. Their decisions are final. I have read, understood, and accept Article 3.2. 4.1. Be fully aware of ULTRA FIORD®‘s magnitude and authenticity, of its extreme geographical location, and of its requirements, demands, risks, and inherent characteristics. Being in a good state of health, and assuming all that the responsibilities implied by participating in the event. I have read, understood, and accept Article 4.1. 4.2. Having minimal experience and semi-autonomy ability in mountains, which allows for him or her to successfully and independently confront the challenges that will be presented in ULTRA FIORD®. Especially considering that the runner will face meteorological conditions that will occasionally be hostile due to the latitude, relative altitude, and typical Patagonian climate (wind, cold, rain, snow, or eventually excessive solar radiation). Similarly, having the ability to advance along the course at night, including situations that require the use of his or her personal lighting system. Additionally, being able to manage physical problems and/or mental characteristics of this activity, while still being in a natural environment that can be hostile. I have read, understood, and accept Article 4.2. 4.3. Having basic knowledge of orientation to sufficiently understand a map, which means being familiar with its scales, altimetry, and orientation. Although the route will be clearly marked, this basic knowledge is required for safety reasons, as well as giving a Runner an understanding of their location in the route in order to plan and make better decisions. I have read, understood, and accept Article 4.3. 4.4. Fully understanding and accepting that it is not the event organizers’ role or responsibility to help runners solve their personal problems. I have read, understood, and accept Article 4.4. 4.5. Fully understanding and acknowledging that in this activity, in the midst of nature, the security depends mainly on the Runner’s experience and capacity to confront the natural problems and obstacles that he/she will find in the race route. In every moment, a Runner’s safety will mainly depend on his/her criteria for decision-making while advancing throughout the course. I have read, understood, and accept Article 4.5. 4.6. Fully acknowledging and being aware that there are some sections of the race route that are not easily accessible for rescuers/medical personnel and/or that medical attention could be delayed. Nevertheless, the organization will have distribute specialized personnel in the most complex and isolated areas along the course. Similarly, security and evacuation protocols will be established for each section of the race route. I have read, understood, and accept Article 4.6. 4.7. In the entire race course, only the following PAS (Aid Stations) will be accessible by land or sea: La Península, Lago Toro, Mirador Grey, Hotel del Paine, Hotel Río Serrano, Hosteria Balmaceda, Estancia Perales, Ruta Milodón, Estancia Dos Lagunas, Sierra Dorotea, and Cruce Aeropuerto. Runners who wish to withdraw from the race, under non-emergency circumstances, may only do so at these locations. If a runner has passed these Aid Stations (PAS) and decides to withdraw himself/herself from the race, he/she will have to either return or progress to the nearest PAS (listed above) in order to be transported back to Puerto Natales. I have read, understood, and accept Article 4.7. 4.8. The minimum age in order to participate is 18 years old. In all cases, the age considered is the one completed by the day of the race. I have read, understood, and accept Article 4.8. ULTRA FIORD® VKM: Have completed trail-running events of distances greater than or equal to 10K. In the evaluation, additional experience in mountain activities will be considered as a positive factor. ULTRA FIORD® 30K: Have completed trail-running events of distances greater than or equal to 30K. In the evaluation, additional experience in mountain activities will be considered as a positive factor. Additionally, previous participation in the Patagonian International Marathon, Ultra Trail Torres del Paine, or Ultra Fiord will also be a factor considered favorably for participation. ULTRA FIORD® 42K: Have completed trail-running events of distances greater than or equal to 35K. In the evaluation, additional experience in mountain activities will be considered as a positive factor. Additionally, previous participation in the Patagonian International Marathon, Ultra Trail Torres del Paine, or Ultra Fiord will also be a factor considered favorably for participation. ULTRA FIORD® 50K: Have completed trail-running events of distances greater than 30Km. In the evaluation, additional experience in mountain activities will be considered as a positive factor. Additionally, previous participation in the Patagonian International Marathon, Ultra Trail Torres del Paine, or Ultra Fiord will also be a factor considered favorably for participation. 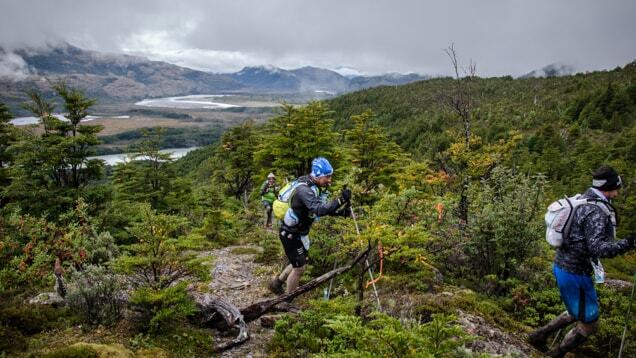 ULTRA FIORD® 70K: Have completed trail-running events of distances greater than 60Km. In the evaluation, additional experience in mountain activities will be considered as a positive factor. Additionally, previous participation in the Patagonian International Marathon, Ultra Trail Torres del Paine, or Ultra Fiord will also be a factor considered favorably for participation. 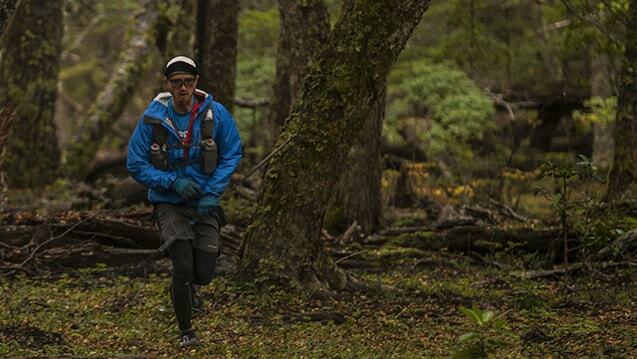 ULTRA FIORD 100K: Have completed trail-running events of distances greater than 80Km. In the evaluation, additional experience in mountain activities will be considered as a positive factor. Additionally, previous participation in the Patagonian International Marathon, Ultra Trail Torres del Paine, or Ultra Fiord will also be a factor considered favorably for participation. 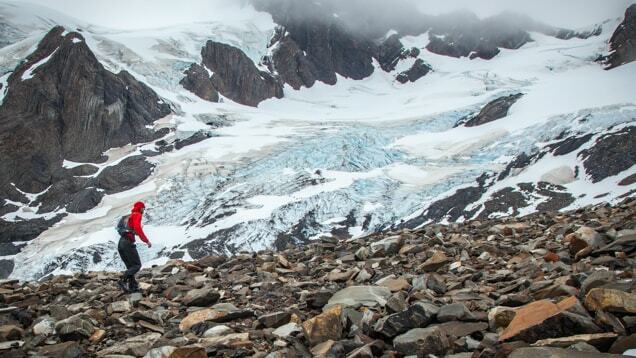 ULTRA FIORD 100 Miles: have completed trail-running events that are equal or superior to 100Km. The completion of mountain activities and events will be an additional factor considered favourably in the assessment of his or her experience. Additionally, previous participation in 109Km Ultra Trail Torres del Paine or Ultra Fiord will also be a factor considered favorably for participation. I have read, understood, and accept Article 4.9. 4.10. Regardless of the minimum established requirements by the organization and of the elemental evaluation in order to be accept a runner, the Runner himself/herself is responsible for participating in ULTRA FIORD®. It is he/she who has freely and with consent agreed to the magnitude of the challenge, and is who will better know the scale of his/her strengths and abilities, his/her physical state, his/her health conditions, and the true experience that he/she has accumulated in his/her life. I have read, understood, and accept Article 4.10. 4.11. The organization reserves the right to reject a runner’s participation for not having sufficient experience or not sharing the spirit of the event, or having had aggressive or disrespectful conducts against other runners of members of the organization, whether it be this event or others. I have read, understood, and accept Article 4.11. 5.1. ULTRA FIORD format runs non-stop, which means that the time begins when the runners crosses the starting line and stops only when the runner crosses the finish line. There will be no neutral times nor discounted times for medical attention, rest, or any other related breaks. However, in exceptional circumstances, only the Race Director may establish a neutralization of official time for reasons of force majeure. I have read, understood, and accept Article 5.1. 5.2. All runners who cross the finish line within the established time limit will be included in the official classification and will receive finisher medals. I have read, understood, and accept Article 5.2. 5.3. There will be NO ties in ULTRA FIORD®. In the event that two runners cross the finish line at the same, the winner will be determined according to the time produced the electronic timing chip. Even though the difference may only be a fraction of a second, this will be definitive. Should the electronic timing system not work, the organization can utilize photographs from the Finish Line or other criteria to define the winner. I have read, understood, and accept Article 5.3. 5.4. For the ULTRA FIORD® 30K, in addition to the finisher medal, the first three finishers of each category, which are determined by age and gender, will be awarded an additional medal (1st, 2nd, or 3rd). Lastly, the three best overall times, regardless of age, will be awarded a third medal (1st, 2nd, or 3rd) for both the men and women. The award ceremony for this distance will take place in its respective Finish Line, awarded when the corresponding winners have finished the race. I have read, understood, and accept Article 5.4. 5.5. For the ULTRA FIORD® 42K, 50K & 70K, in addition to the finisher medal, the first three finishers of each category, which are determined by age and gender, will be awarded an additional medal (1st, 2nd, or 3rd). This additional medal will be awarded the moment the corresponding runner crosses the finish line. Lastly, the three best overall times, regardless of age, will be awarded a third medal (1st, 2nd, or 3rd) for both the men and women, which will be awarded on the podium at the respective Finish Line for each distance. I have read, understood, and accept Article 5.5. 5.6. For the ULTRA FIORD® 100 Miles & 100K, in addition to the finisher medal, the first three finishers of each category, which are determined by age and gender, will be awarded an additional medal (1st, 2nd, or 3rd). This additional medal will be awarded the moment the corresponding runner crosses the finish line. Lastly, for both distances, the ten overall best times for the men (1st – 10th) and 5 overall best times for the women (1st – 5th), regardless of age, will be awarded a third medal. This overall awards ceremony for the 100K will take place at its respective Finish Line in Puerto Natales on Saturday, April 7, at 19:00 hrs., with the overall awards ceremony for the 100M taking place directly after at 20:00 hrs. I have read, understood, and accept Article 5.6. 5.7. For the ULTRA FIORD® VKM the overall top ten finishers for both the men and the women will be awarded. I have read, understood, and accept Article 5.7. Note: The categories have been named in recognition of the natural environment in which the race takes place. The names used are from the surrounding wildlife. I have read, understood, and accept Article 5.8. 5.9. The awards ceremony for all distances will take place in their respective distances: Hostería Balmaceda, Estancia Perales, Estancia Dos Lagunas, and Puerto Natales. I have read, understood, and accept Article 5.9. 6.1. ULTRA FIORD® is an experience within the discipline of trail running, classified specifically in the segment of events having high physical, mental, and technical requirements, which includes requiring fundamental planning, personal logistical preparation, and race strategies to complete. Given these characteristics, ULTRA FIORD®’s registration will be a selection process based on a runner’s experience. However, with that being said, all runners are welcome to apply for inclusion in the Race. In order to apply, each runner is required to submit the required information and documents, and then wait a maximum of 5 days to receive notification from the organization regarding whether he or she has been accepted for his or her preferred distance. I have read, understood, and accept Article 6.1. Reading, understanding, and accepting, without limitation, all of the articles listed in ULTRA FIORD® 2019‘s Rules and Regulations. After doing so, the interested participant will be redirected to Welcu. The interested participant must then complete the registration form, which is available on Welcu’s official website, and must pay a non-refundable deposit of $15,000 CLP (USD $25.00) in order to enter the evaluation process. Waiting for the interested participant’s registration approval within a time period of 1 to 5 days. If accepted, the interested participant will receive a unique confirmation link from the race organizer, which will allow he/she to finish the registration process by paying the remaining registration fee within 10 consecutive days. Should the participant not complete the process within the time limit, his/her spot could be given to another runner, but should his/her spot in the race still be available and the registration period has changed, the link will be invalid and therefore updated to reflect the updated registration fee. Medical certificate that clearly indicates a runner’s ability and health to complete this type of activity, specifically including being able to complete his or her specified distance. I have read, understood, and accept Article 6.2. 6.3. In the registration form, each runner is required to briefly describe his or her experience in this type of event, specifically listing relevant races that he or she has participated in and completed. This should especially include the races of similar length to their proposed ULTRA FIORD® distance. I have read, understood, and accept Article 6.3. 6.4. The organization reserves the right to question the runner for further relevant information, documentation, and/or certificates, as well as reserving the right to reject any applicant who does not comply with ULTRA FIORD®’s registration process or its requirements for participation. I have read, understood, and accept Article 6.4. April 26 – August 31: 25% refund of the total paid amount*. (Refund will not include the percentage paid as commission to the Welcu system or the pre-registration deposit). After September 1: No money will be refunded. In this case, the runner can chose to save his/her registration for the 2020 edition for this or any other event organized by the Organization, as long as he/she meets the minimum eligibility requirements to participate in each event. Please consider that if the registration fee is less than that of the original payment, no additional refund will be granted to equalize the difference; however, should the price be higher, you must pay the difference in order to register. In order to take advantage of this option, a Runner must advise the Organization before the day of Event by writing an email to info@ultrafiord.com. If a Runner does not attend or express his or her intention to postpone registration, it will be deemed as lost. * Refunds can only be made through Chilean bank account or a PayPal account. No refunds can be made to international bank accounts or directly to credit cards. I have read, understood, and accept Article 6.5. 7.1. The organization will have the right and duty to penalize or disqualify any runner whose sports conduct does not respect the values and spirit of ULTRA FIORD®. Similarly, the organization can penalize or disqualify runners whose actions do not comply with the race’s General Rules and Regulations, or in cases where he or she does not accordingly conform to the event’s requirements or demands. In the event that a runner is penalized, he/she must complete the sanctioned penalty on-site or where otherwise indicated. The minimum sanction will be 30 minutes, and may vary according to the gravity and degree of his/her action, with a maximum sanction being an immediate disqualification. If a runner is disqualified, he/she must continue to the point indicated by the organization and will not be included in the official results. I have read, understood, and accept Article 7.1. 7.2. Disqualification: In the case that a runner is disqualified, he or she must continue to the point indicated by the organization, and furthermore, will not be included in the official ranking. 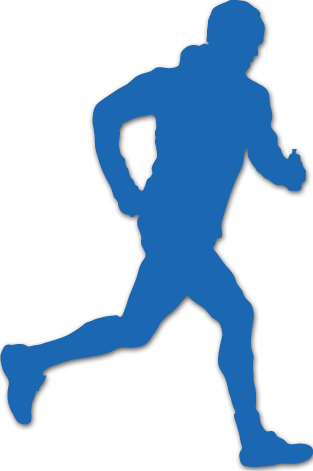 The runner does not have his/her number visible. The runner does not register his/her passport in control point(s) (PAS / PC). The runner does not register his/herself at the Starting Line. The runner throws trash or any type of waste along the race route, whether done consciously or accidentally. The runner receives external assistance in non-indicated zones. Acts deceitfully at any time or under any circumstance. Utilizes any means of transportation during the race. He or she does not meet the medical requirements to complete the race. Does not carry security items listed as mandatory equipment. Damages the vegetation and wildlife in the surrounding area. Arrives at the aid station after the time limit. Has an aggressive behavior, whether it is verbal or physical, towards other runners, organizers, or any others associated with or attending the event. Refuses or chooses not to help another runner in need of assistance. Does not follow instructions given by the Race Director or others members of either the security teams or leaders of the control points and/or aid stations. I have read, understood, and accept Article 7.2. 7.3. Any other fault that is not explicitly mentioned in the preceding articles can be sanctioned by the Race Director or Jury if deemed necessary to define, always acting on the basis of the values and spirit of the event. I have read, understood, and accept Article 7.3. 7.4. In cases where a runner demonstrates offensive, rude, or aggressive behavior towards the organization or any others within the event, even if occurring after the event has finished, such as by utilizing social media or through other similar forms, he or she can be sanctioned and excluded from future ULTRA FIORD® editions and other events associated with the organization. Any clarification or claim must be made through the event’s official mail info@ultrafiord.com, by means of direct language, describing the situation and arguing in a clear manner with corresponding evidence to support their claim. I have read, understood, and accept Article 7.4. 8.1. Due to the race zone’s geographical and meteorological conditions, the mandatory and recommended equipment is established by the organization in order to strengthen the personal security conditions and improve the runner’s experience. However, selecting and evaluating each element of the race equipment is the runner’s personal and unavoidable responsibility. I have read, understood, and accept Article 8.1. 8.2. The mandatory and recommended equipment list that is listed in this document corresponds to the minimum equipment necessary to confronting the challenges that will be presented in ULTRA FIORD®. If deemed necessary by the Runner, he or she is free to include any other equipment that, according to his or her capabilities, experience, or strategy, can be important to his or her participation in the race. In cases of doubt regarding the equipment list, the runner should consult with the organization to ensure that he or she complies with and fulfills the event’s minimum requirements. I have read, understood, and accept Article 8.2. 8.3. All runners must complete an equipment revision before they are able to pick up their kit. Only if and when the runner complies with all the requested equipment, will he/she be allowed to obtain his/her Race Passport and then pick up his/her kit. The organization reserves the right to check equipment in an Aid Station (PAS) or Control Point (PC), including the Finish Line. I have read, understood, and accept Article 8.3. Spikes or crampons without front points (To be used in the glacier zone in the Paso Byron section)(ONLY for 42K, 70K, 100K y 100M) MANDATORY from PAS Hosteria Balmaceda until PAS Ruta Milodón for 100M, 100K, and 70K). Synthetic thermal jacket, minimum 167g of synthetic filling, recommended to be greater than 300g (recommended filling: Primaloft, Coreloft, Thermoball, or equivalent). Long pants, runner’s choice (Running tights or other that both covers the entire leg and fulfills the function of reducing lose of body heat in windy conditions). NOTE: Remember that each item listed in the mandatory equipment list is the minimum required, and is subject to inspection at any time by the members of the organization. Do not risk being given a penalty or being disqualified. The mandatory equipment is fundamental for both your security and comfort during the race, so please be responsible for yourself. Selecting and evaluating each piece of equipment is the Runner’s responsibility. Climbing / Cycling helmet for the mountain pass between Hostería Balmaceda and Estancia Perales / Ruta Milodón) (According the runner’s experience and criteria). Operating mobile phone, only for the 100K and 100 Miles distances, to use from PAS Estancia Perales, from where you will begin finding an intermittent phone signal. Keep the battery powered off, and only use it in cases of emergency. With the exception of two other reduced coverage areas, there will not be a phone signal in the rest of the course. The organization will utilize satellite devices and VHF radios for their communications. I have read, understood, and accept Article 8.4. 8.5. The organization reserves the right to prohibit any type of equipment that does not comply with their basic principal of equal conditions for all runners or goes against the spirit of the event. I have read, understood, and accept Article 8.5. 9.1. In order to retrieve the Runner’s kit, the Runner must have previously picked up his/her passport and have completed pre-race mandatory gear and race-document check. The Runner’s kit will only be delivered at the place and schedule indicated in the Race Program. I have read, understood, and accept Article 9.1. I have read, understood, and accept Article 9.2. 9.3. Kit pickup is the runner’s personal responsibility and is nontransferable. There will not be any cases where it can be delegated to a third party. I have read, understood, and accept Article 9.3. 10.1. The schedules, starting points, and finish line are different for each race distance, and can be found in the following table. It is the runner’s responsibility to present himself/herself in his/her respective starting line, which, in all cases, will be one hour before the start of the race. For meteorological or other reasons, the organization, if necessary, reserves the right to modify these schedules at any time. 10.2. For security and logistical reasons, intermediate cut-off times have been established. These points will be located in ULTRA FIORD®‘s most-important aid-stations. Runners who do not arrive before the established cut-off times will be considered disqualified. It is very important that each runner is conscientious of the times and distances in order to complete each race section. The cut-off schedules for all distances will be updated shortly. I have read, understood, and accept Article 10.2. 11.1. The participants must wear their Runner Number at all times. It is the runner’s responsibility to take care of his/her number, which includes making sure it is always located above every layer of clothing and visible in front. I have read, understood, and accept Article 11.1. 11.2. The runners will receive a Race Passport after their Mandatory Gear Check in Puerto Natales. In this passport, it is mandatory for each runner to register him/herself at every Aid Station (PAS), Control Point (PC), the Starting Line, and the Finish Line. I have read, understood, and accept Article 11.2. 12.1. The organization will provide special bags for the runner’s Drop Bags, which will be personalized with specific stickers to include the runner´s name and number for each corresponding location. It will be each runner’s sole responsibility to both accurately and adequately place his/her equipment in the respective bags according to necessity and then deliver them to organization at the indicated place during the indicated schedule. I have read, understood, and accept Article 12.1. 12.2. Drop Bag: Each runner may enter one or more bags (Drop Bags) for personal articles, such as equipment or clothing, to intermediate points and/or the Finish Line according to his or her race distance. These Drop Bags must be submitted in advance, as indicated in each race distance, and must not be entered directly in the starting lines. Runners must consider that some of these are transported by sea through the fjord. The drop bag, according to each Runner´s strategy, may only be used for food, clothing, and/or equipment replacement; it CANNOT be used to carry electronic equipment or fragile materials. I have read, understood, and accept Article 12.3. I have read, understood, and accept Article 12.4. 12.5. All of the elements that a runner wishes to send to these points must be transported within ULTRA FIORD®‘s official Drop Bags. These must be securely and adequately closed. Any bags that are not properly closed or that include items attached or located outside of the bag will not be accepted. No object or item is allowed to be protruding from the bags, and furthermore, may only include the space permitted by the capacity of the bags (size: 55cm x 35cm). I have read, understood, and accept Article 12.5. 12.6. The organization will be extremely careful of all the runner’s belongings, especially of their Drop Bag. However, ultimately, the organization will not be responsible for lost, robbed, or damaged items. For logistical and security reasons pertaining to your belongings, the runner must only submit the necessary minimum, and is not permitted, in any and all cases, the inclusion of fragile or high-valued items in the Drop Bag. I have read, understood, and accept Article 12.6. 13.1. It is important to understand and accept that all outdoor sports activities in the mountain or in nature imply and involve risks. In this context, the Runner’s safety and security during the course of ULTRA FIORD® depends on multiple factors, most of which relate to the decisions, activities, or processes that start long before the start of the event. The runner’s experience, training, technical skills, race strategy, and choice of equipment will be key factors in achieving a safer and more secure race. I have read, understood, and accept Article 13.1. 13.2. For security reasons, the organization will have a strict selection process to assess and evaluate the interested runner’s experience before accepting him or her for the race. Notwithstanding the previously stated, it is the runner’s responsibility to choose his or her race distance for ULTRA FIORD®, and assume the risks of his or her specific race. Similarly, it will be his or her responsibility to be well-prepared and have the proper equipment. The assessment and evaluation of each runner is based on the information that he or she has provided; therefore, it is his or her responsibility to submit his or her own corresponding data for proper evaluation. I have read, understood, and accept Article 13.2. 13.3. The organization will distribute specialized personnel for rescue and first aid assistance along the route, both in fixed points and with mobile teams, specifically in more complicated and complex areas. Similarly, the organization will establish a satellite and VHF communication network, and will additionally create an evacuation plan for each race area. However, the runner must assume that the assistance may be delayed, and is therefore, very important to responsibly select and carry all of the mandatory equipment. I have read, understood, and accept Article 13.3. 13.4. Given the geographical conditions and inaccessibility of certain race sections, the organization will maintain a private, multipurpose helicopter in the area, especially set aside for prevention and possible rescues in justified, emergency situations. I have read, understood, and accept Article 13.4. 13.5. Runners will only have a mobile phone signal in certain areas of the race route; however, a mobile phone is still listed in the recommended equipment list. I have read, understood, and accept Article 13.5. 13.6. The organization will not be responsible for any cost associated to any injuries that may occur during the preparation, transfer to or from the race starting points, or during the participation in the race. This includes, but is not limited to, the transportation to and from a hospital, qualified medical care services, or any medication that may be needed for the Runner. I have read, understood, and accept Article 13.6. 13.7. If a Runner leaves the path or gets lost at some point, he or she should stop immediately, and then return to the last point of the route marked for the race. It is the responsibility of the Runner to be attentive and follow the established and marked route. I have read, understood, and accept Article 13.7. 13.8. If an official staff member informs a Runner that he or she should not continue for security or any other reason, he or she must both respect their order and following the corresponding instructions. I have read, understood, and accept Article 13.8. 13.9. If a Runner is not able to complete the race, he or she should inform any member of the organization of his/her withdrawal at the closest Aid station or Control Point. Then, he/she must follow the instructions indicated by the organziation in order to be evacuated in the closest Aid Station that allows it: La Península, Lago Toro, Hotel del Paine, Hosteria Balmaceda, Estancia Perales, Ruta Milodón, Laguna Sofía, Sierra Dorotea, and Aeropuerto. I have read, understood, and accept Article 13.9. 13.10. The last Runner on the route will be followed at a distance by a mobile control group, which will close the racetrack as they proceed through the route. This group will have satellite communications from the operations center, and will be monitored by a satellite tracking system. Any instruction given by the leader of this group to the Runner must be obeyed. I have read, understood, and accept Article 13.10. 13.11. Prior to the event, the Runner must inform another person, friend, or family member of his or her participation in ULTRA FIORD®. He or she should deliver general event information, such as the date and location, in addition to ULTRA FIORD®‘s link and contact information with the organization. Additionally, he or she should indicate that during the days of the race, he or she will not have a permanent internet connection nor frequent access to a mobile telephone signal. I have read, understood, and accept Article 13.11. 13.12. The Runner must have medical insurance that covers possible health problems that he or she might have, either by injury, accident, or other byproducts of the activity’s associated risks. I have read, understood, and accept Article 13.12. Any other that could endanger your life or cause the loss of limb or sight if not attended to promptly. I have read, understood, and accept Article 13.13. 14.1. In the days leading up to ULTRA FIORD®, a series of small technical talks will take place in the city of Puerto Natales. These will be organized according to race distance, and will be available in Spanish, English, and Portuguese. These informative meetings are mandatory and its attendance will be controlled; however, under his or her own responsibility, a runner may request exemption for justified reasons. I have read, understood, and accept Article 14.1. 14.2. Additionally, in the months before the event, the classic ULTRA FIORD® WORLD MEETUPS will take place in different cities around the world. All of ULTRA FIORD® WORLD MEETUPS are presented by experienced runners who have either been winners or finishers of ULTRA FIORD®, and in these reunions, they will share their experiences and relevant event information. The schedule will be announced opportunely. I have read, understood, and accept Article 14.2. I have read, understood, and accept Article 14.3. 15.1. At any time or circumstance, the participants should maintain a sportsmanlike conduct, based on the Trail Running values defined in the ITRA’s Ethical Charter, which ULTRA FIORD® will adhere to completely: authenticity, humility, fair-play, equality, respect (for other, for one’s self, and for the environment), and solidarity. Those will be ULTRA FIORD®‘s pillars. I have read, understood, and accept Article 15.1.